Planning on buying or selling real estate in Arizona? Whether you are a first time home buyer, a senior looking for a place to retire and play golf, an experienced investor or a homeowner wanting to downsize or move up, selecting the right Scottsdale Arizona real estate agent is intrinsic to your success and can make all the difference in the world. 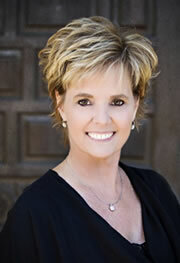 My Name is Randi Christel and as an experienced Scottsdale Arizona real estate agent with over 20 years of corporate sales and marketing experience and 20 years of living in the Valley of the Sun, I am well suited to handle your important Scottsdale real estate needs. Just because I live in Scottsdale doesn’t mean Scottsdale is for you. That’s why I will show you real estate in the other fine cities this great state has to offer, like Fountain Hills, Paradise Valley, Tempe and Phoenix. Together we will find a wonderful place to call home. Choosing a Scottsdale Arizona real estate agent to help you find your new home is a personal decision, and one that impacts not only you, but your family as well. What really matters is that you work with a real estate agent who takes the time in this fast paced market to get to know your families’ goals and can reach those goals together quickly. That’s where I can help you – not only am I an accomplished Scottsdale Arizona real estate agent, but I am also a mother of three, and understand just how a move (and where you choose to live) can impact your whole family. I can help you discover the perfect place for your entire family to call home.